Imagine this. You're out apartment hunting and you are chatting it up with a leasing consultant or you've moved in somewhere and are inquiring on a situation. All of a sudden they start throwing words at you that you have no idea what they mean. They just threw apartment lingo at you. We've all been there. You know, on that side where we don't want to act like we don't know what someone is talking about. And it's not just an affliction of the property management business. A lot of industries have employees that get comfortable using their specific lingo, phrases, acronyms, etc. It doesn't make them bad employees, don't get me wrong. It's just that we forget sometimes that there are those that are unfamiliar with things we do and say on a daily basis. I'm guilty of this myself. So below is your one-stop shop glossary of all of the words, phrases and acronyms. 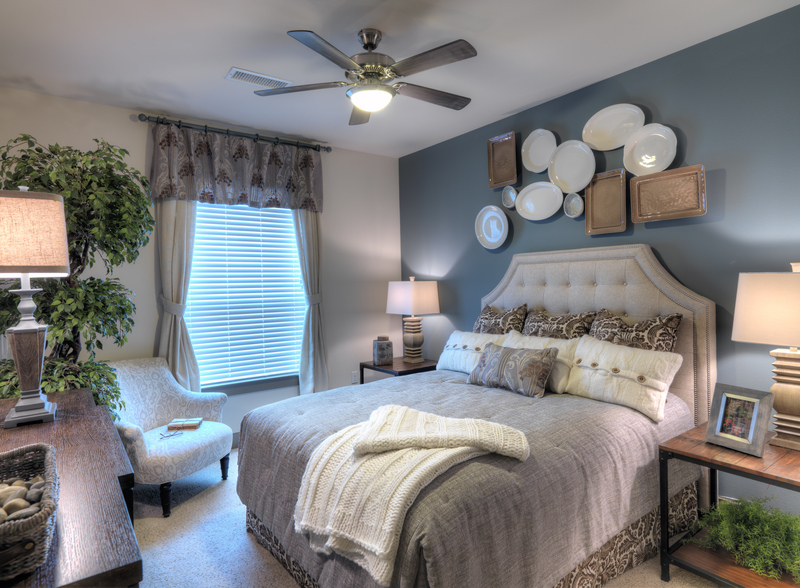 Here is the apartment lingo you should know. Addendum An accompaniment to the master lease. This can be used for a number of things like adding a washer and dryer (Laundry Addendum) or adding a pet (Pet Addendum). Amenity Community extras such as pools, fitness centers, movie theaters, etc. Applicant Any persons that will be on the lease as either a leaseholder and/or occupant. Arrears Delayed or behind billing. Example. Water bill billing cycles are two months in arrears. When you pay with April rent, you are paying for services two months prior. xBR/xBA Bedroom/Bathroom. The numbers in front will mean the number of both respectively. Example: 3BR/3BA means 3 bedroom, 3 bathroom. Conc Pronounced - conk - This is the abbreviation for concession (see below). 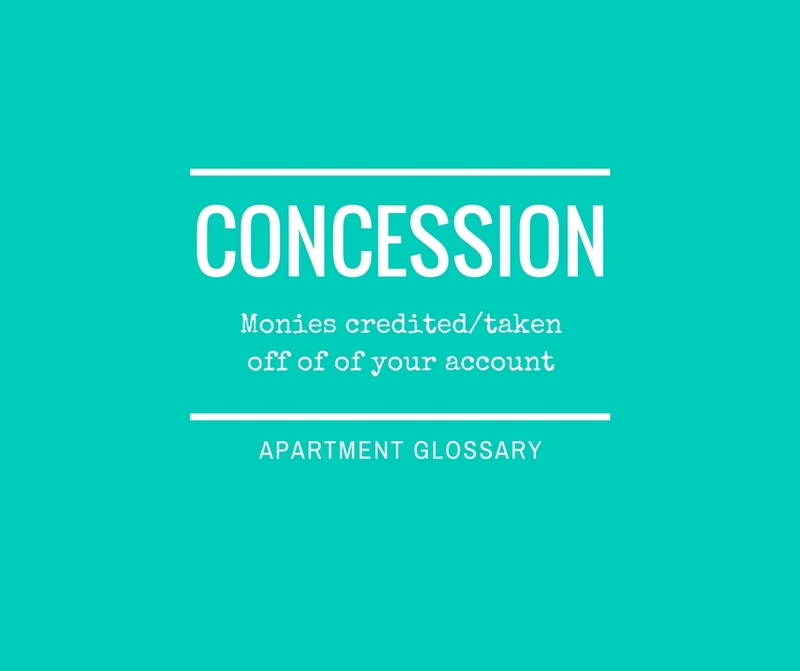 Concession Monies credited/taken off of your account. Example. You rented while the community was having a special on application fees. Because you were not charged, you received a concession. Deposit Monies paid and retained during your tenancy that will be credited back less any final charges post-move-out. This can be for things like security of rent based on credit or pets for a couple of examples. Eviction The legal response to non-payment of rent or other circumstances where the community must take action to remove (evict) you from your home. Fair Housing These are laws that exist to protect specific classes from discrimination. You can read all about Fair Housing Laws by visiting the Fair Housing website. Guarantor A co-signer. Someone who is assuming financial responsibility for your lease in the event you cannot or do not pay rent or other balances. Lease Your rental contract that outlines policies and guidelines to abide by during your residency. Lease Takeover This is when you are removed from your rental contract and someone else is screened. Ledger Your charges, credit and payments list. This will reflect any and all transactions. Long-term Any lease 12 months or longer. Market rate The rate at that specific time based on prices of the surrounding areas. Prorate A per diem calculation of rent or other charges. Prospect Before you lease and become a resident, you are a prospect. Someone who is shopping for an apartment. We aim to turn you into a resident (insert wink and a smile). RAD Resident Appreciation Day. This is a day dedicated to our wonderful residents. This is by far one of our favorite days at Camden. You can find out all about our RAD's by reading the Feeling #CamdenHappy: Camden Resident Appreciation Day blog. Renewal After your initial lease term is up, any lease thereafter is considered renewed and referred to as a renewal. RIF Resident Information Form. This is filled out upon move-in, renewal or transfer. Screen The running of your criminal, credit and rental history as part of the application process. Short-term Any lease shorter than the standard 12 month lease. Sister Community Another community managed by the same company. Steering Encouraging a prospective tenant to lease a certain apartment within your community or elsewhere altogether. I would like to point out this is illegal. Sublease/Sublet Where someone other than yourself is living in the apartment and paying the rent but you are still the leaseholder. Term The length of your lease. Term Fee A fee that is owed when you are cancelling your rental contract. Utilities Electric, water, gas bills. These are more often than not paid separately. Writ Official document filed when we take possession of an apartment during the eviction process's final steps. Yield Pricing Daily pricing that is driven by the changing market rates as well as supply and demand. You are now ready to face the property management world with all the know-how of someone on the inside. Don't you feel so empowered?! See! Apartment lingo isn't so bad. Before you sign that lease....do you know how much rent you can afford? 3 Reasons Why Our Young USA Men’s Basketball Team is Coming Home With the Gold!